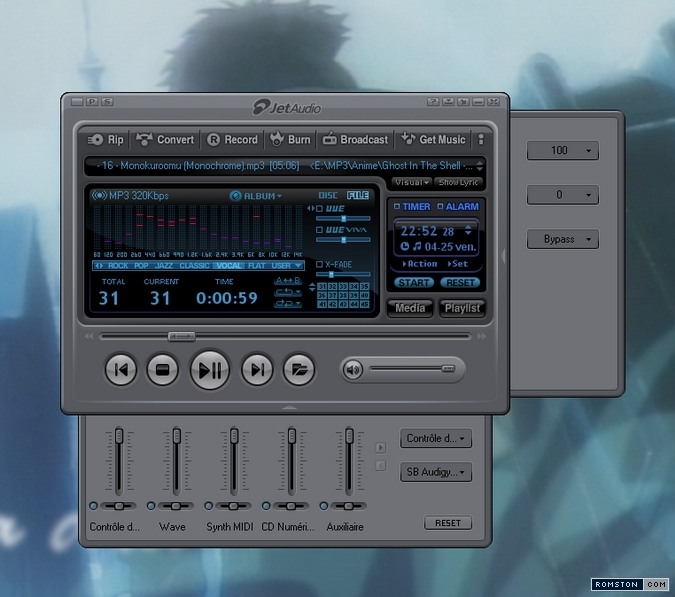 So i found this software: JetAudio… wow… Simply Wow ! It’s simple, and complex at the same time. A !/$!%!”$/ load of more options than winamp ! This entry was posted on Friday, April 25th, 2008 at 7:53 pm by romston and is filed under Computers, Mainstream, Music. You can follow any responses to this entry through the RSS 2.0 feed. You can leave a response, or trackback from your own site. It took 54 queries to generate this page. Your waiting query time was 1.223 seconds.